USPA NEWS - With more than five years to go before the big event, Paris 2024 and the Games’ stakeholders have today launched a plan that is totally innovative in both its approach and scope and which seeks, through the Olympic Games, to create new tender and job opportunities. Paris 2024 has today taken another step forward in its efforts to stage a different kind of Games. In conjunction with all the project’s stakeholders, Paris 2024 has unveiled a plan that is groundbreaking in terms of its scope and foresight, to ensure that everyone can benefit from the tender and employment opportunities afforded by the Games. The plan is targeted in particular at organisations and people who are not usually given such opportunities, namely very small, small and medium-sized businesses, companies operating in the social solidarity economy, job-seekers and disadvantaged groups in the labour market. “We have sought, right from the outset, to organise inclusive and socially committed Olympic Games that bring benefits for as many people as possible,” said Paris 2024 President Tony Estanguet. 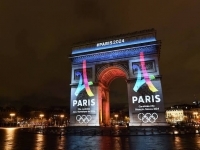 PARIS 2024 HAS SOUGHT TO ORGANISE SOCIALLY AND ECONOMICALLY RESPONSIBLE GAMES- TONY ESTANGUET SAID--------------------------------------------------------------------------------------------------------------------------------- “We have sought, right from the outset, to organise inclusive and socially committed Olympic Games that bring benefits for as many people as possible,” said Paris 2024 President Tony Estanguet. “The plan we are embarking on today, well in advance of the event, will enable small firms (very small, small and medium-sized businesses and companies operating in the Social Solidarity Economy) to plan ahead and organise themselves with a view to winning Games-related tenders. The plan complements the mapping study that we are also unveiling today and which details the sectors and employment opportunities opened up by the Games and gives job-seekers the opportunity to start training now so that they can apply for Games-related openings in the future.” Since the start of the bid phase, Paris 2024 has sought to organise economically and socially responsible Games that seek to show France at its very best. This unprecedented commitment, made in conjunction with social partners and Professor Muhammad Yunus, the 2006 Nobel Peace Prize winner, brings together all the Games’ stakeholders: the French government, the City of Paris, the Île-de-France region, the department of Seine-Saint-Denis, Greater Paris, regional and local authorities, as well as employment, social inclusion and training partners, and the voluntary sector, etc. The success of the plan depends on hitherto unseen levels of collective involvement and shared responsibility. 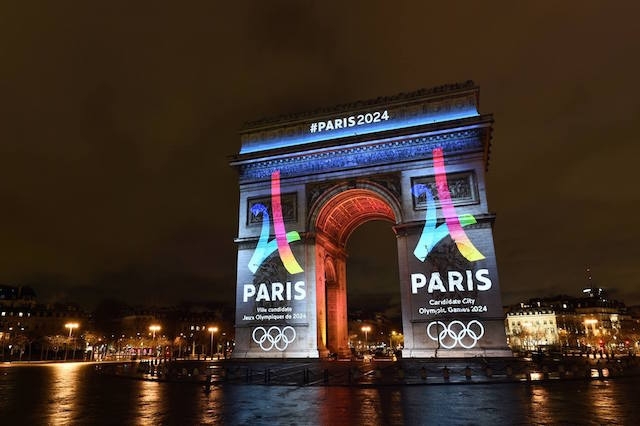 In an effort to make the plan as effective as possible and in building on the pledges made in the bid phase, Paris 2024 has carried out its first specific actions, more than five years before the event, with the roll-out of the Yunus Charter, the Social Charter and the Social Inclusion Charter. These actions provide companies with an initial raft of specific support tools, with a single point of entry to Games-related tenders and enabling them to inform, prepare and organise themselves well in advance of the calls for tenders being issued. These actions are also designed to allow stakeholders to make their preparations, support disadvantaged groups in the labour market or people who are out of work (training, inclusion, etc. ), train them and enable them to access jobs created by the Games.